Currently under the leadership of the founder’s grandsons, President Joe Herlihy and Vice President James Herlihy, the company remains committed to providing 100 percent customer satisfaction with each move. Whether you’re moving residentially, undergoing a corporate relocation, need to move your office or wish to keep your items in storage, our family is here to take the stress out of the process. As one of Ohio’s oldest moving companies, we have moved thousands of Ohio families and businesses around Ohio, across the United States, and around the world. Our attention to detail and customer satisfaction has earned the trust of many repeat and referral customers. Convenient locations in Athens, Chillicothe and Columbus, Ohio. Trained moving professionals handle every step of your move. We use only up-to-date, well-maintained trucks and equipment, including air-ride-equipped trailers. As an agent for Mayflower and UniGroup Worldwide, we can expedite moves anywhere in the world. We offer expert packing services by trained professionals. No move is too big or too small: call on us for full-service to do-it-yourself moving and storage services. Storage options include our Secure Self-Storage Facilities in Columbus and Chillicothe and Mayflower Portable Storage Containers (Pods). As members of the American Moving & Storage Association and Ohio Association of Movers, we adhere to the highest professional standards in the moving industry. We’re BBB Accredited and Angie’s List approved. As a family-owned business, we consider customers part of our family. 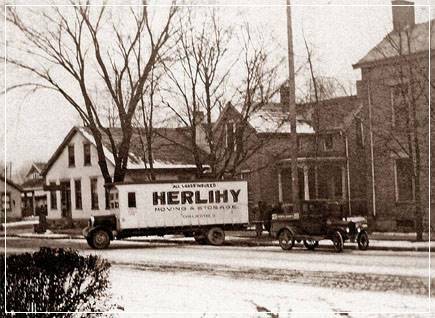 We handle your belongings as carefully as if they belonged to a Herlihy family member. Our goal is 100% customer satisfaction for each move. Since 1920, our company has grown through satisfied, repeat customers and referrals. Thanks to your support, we’ve become one of Ohio’s top moving companies. Now in our third generation of family management, our family is here to move your family today and in the years to come. Each of our offices offers a full range of residential and commercial moving and packing services. Our Columbus and Chillicothe locations also offer convenient self-storage, mini-storage and warehousing facilities. Choose the Herlihy Moving & Storage office closest to you! We’re proud of our long record of community involvement in Columbus, Chilicothe and Athens, Ohio. 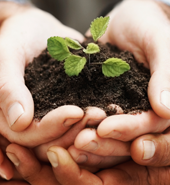 Since 1920, we’ve supported many charities and nonprofit organizations. Through our partnership with Mayflower and UniGroup Worldwide, Herlihy Moving & Storage can facilitate any move worldwide. Join the Herlihy team! For qualified candidates, we offer competitive pay, professional training and benefits for full-time employees.